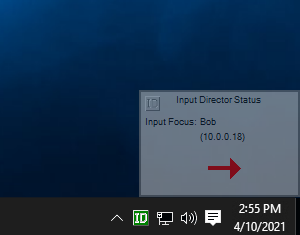 Input Director is a Windows application that lets you control multiple Windows systems using the keyboard/mouse attached to one computer. 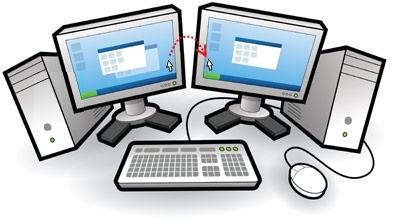 It is designed for folks who have two (or more) computers next to each other and find themselves regularly switching from one system to the other. 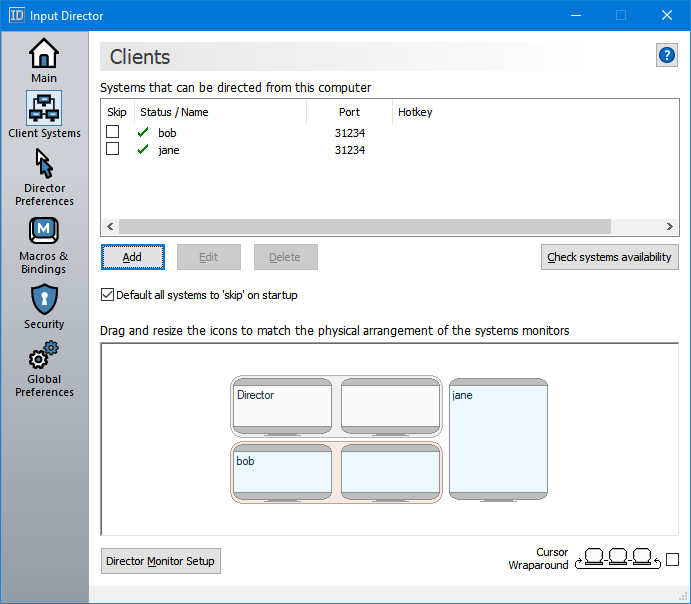 With Input Director, you can share a single keyboard/mouse across a set of systems. 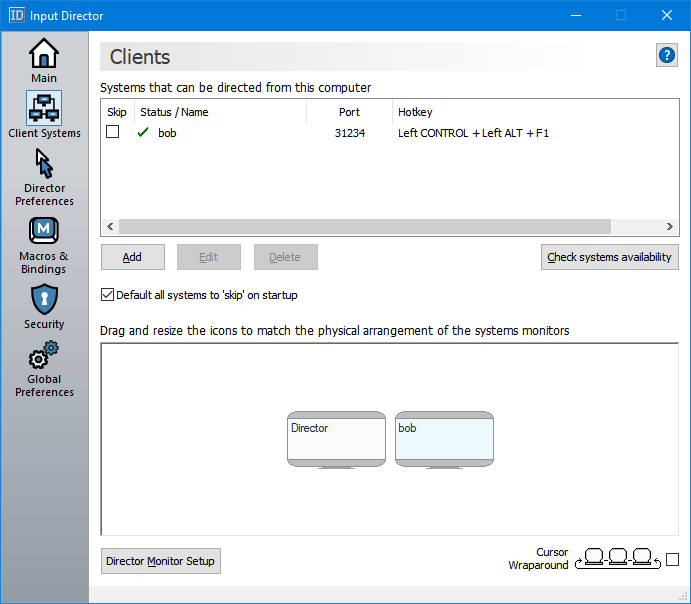 You switch which system receives the input either by hotkey or by moving the cursor so that it transitions from one screen to the other (in a very similar fashion to a multi-monitor setup). 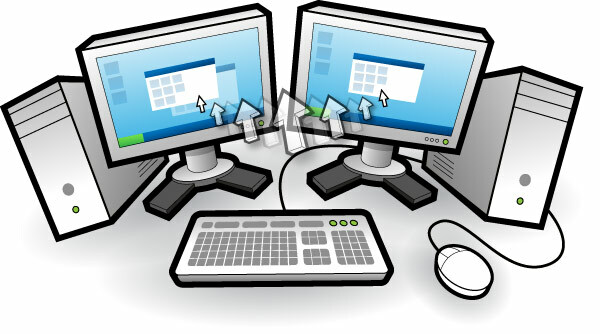 The idea being that you can position the monitors from two or more systems in a row and use a shared keyboard/mouse to control all of them.Input Director also supports a „shared“ clipboard, in which you can copy data onto the clipboard on one system, transition across to another and paste. 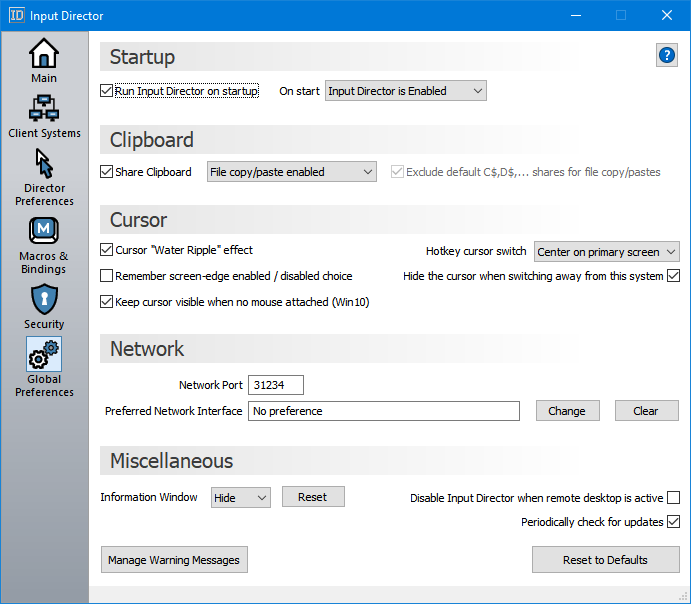 Input Director requires Windows 2000 (Service Pack 4), Windows XP (Service Pack 2), Windows 2003, Windows Vista, Windows 2008 or Windows 7. The systems must be networked. 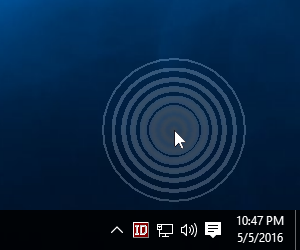 A semi-transparent information window that can be overlaid on any (or all) systems, pointing to the system currently being controlled.